Do you cloth diaper? Are you thinking of cloth diapering? Are you new to cloth diapers? 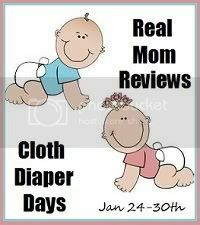 Check out Real Mom Reviews Jan 24-30th for Cloth Diaper days!